Academy Award-winning® producer Ed Saxon has been making feature films for 25 years. As principal of his own independent production company, he has developed and produced films with Fox, Universal, Warner Brothers, Columbia, Paramount, and Disney Studios. Saxon’s films combined have grossed over $700M at the box office worldwide and garnered 21 nominations and 8 Academy Awards®. Saxon has been a member of the Academy since 1991. 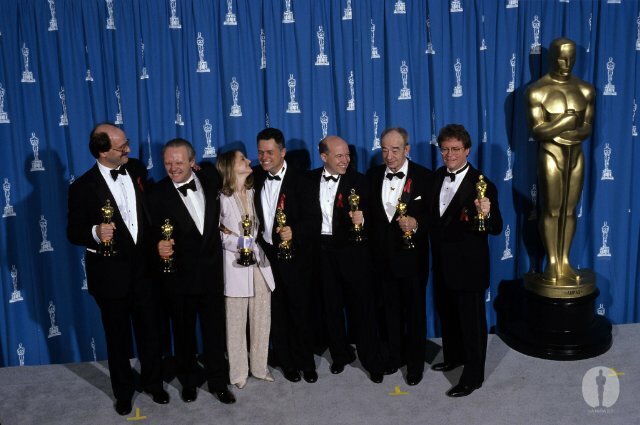 Saxon won his first Oscar® for The Silence of the Lambs which swept Best Actor, Best Actress, Best Adapted Screenplay, Best Director, and Best Picture at the Academy Awards® categories in the same year. This film remains one of only three films in history of American cinema to achieve this distinction. Saxon has also produced: Philadelphia, garnering two Academy Awards®, including Best Actor (Tom Hanks). Adaptation, which was nominated for 4 Academy Awards®; and the Academy Award-nominated® documentary Mandela, based on the true life story of Nelson Mandela in which he stars along with former wife Winnie Mandela. Currently Saxon has Elsa & Fred starring Shirley MacLaine and Christopher Plummer, directed by Academy Award-nominee® Michael Radford (Il Postino) in theaters. Raised in St, Louis, Missouri, Ed is a graduate of the USC Peter Stark Producing Program. He received his undergraduate degree at McGill University. He has taught classes at USC, UCLA, Columbia University and NYU. He is a mentor for the Producer’s Guild, Sundance Insititue, and USC. He is a board member of The Center for Body Computing at USC. He's married to the artist, Kirsten Coyne. They have two daughters and lives in Santa Monica.